That time when I am hungry, but it is too close to dinner to eat anything substantial, you know? 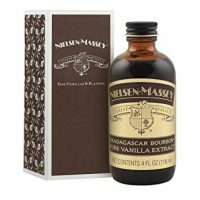 I just need a little something, and may as well try to sneak some extra ooomph in with it, as far as nutrients go. We traveled a lot this summer. Travel means we are busy, we don’t always drink the amount of water we are used to, and we are certainly not eating as … fresh and good as we do at home? Good, yes. We had some amazingly good food. And fresh when we could – which was often. Still, though. I supplemented with vitamins I could easily pack in the snack area of my carryon. Surely you have a snack section in your luggage? Mine always has cashews, some sort of homemade granola bar, chia seeds, and chocolate. This trip, I also bought some Blue Majik, a nutrient dense spirulina. 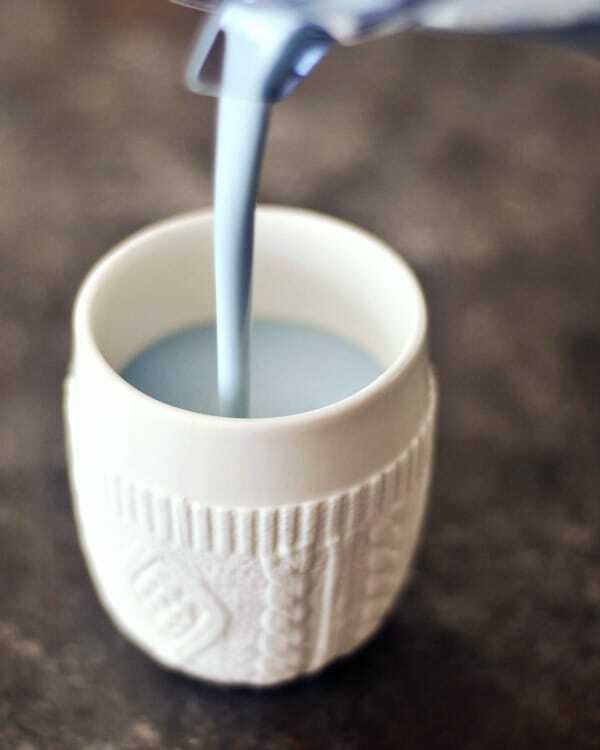 I’d add this to milk in the morning, to tide me over until coffee and breakfast. I often need a pre breakfast when traveling. 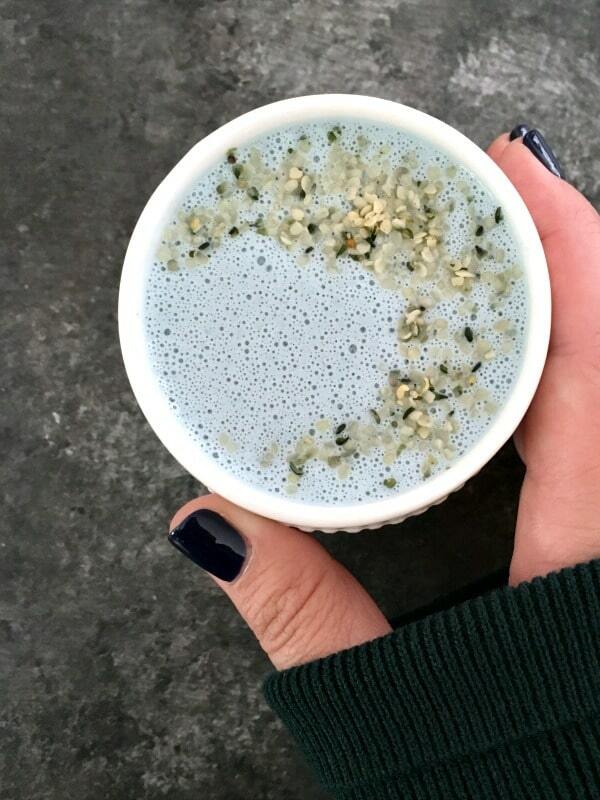 Spirulina, Maca, and Turmeric, oh my! I did not have maca or turmeric while on vacation, but thanks to a dear friend we visited while traveling, I did have mint essential oil gifted to me. 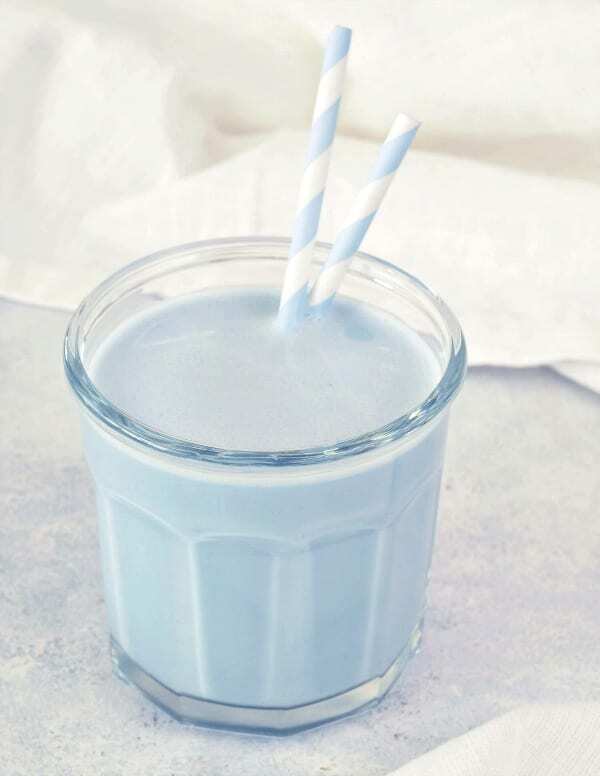 The Cool Vanilla Mint Cashew Milk was born. Well, the travel version of it. No dates, either. 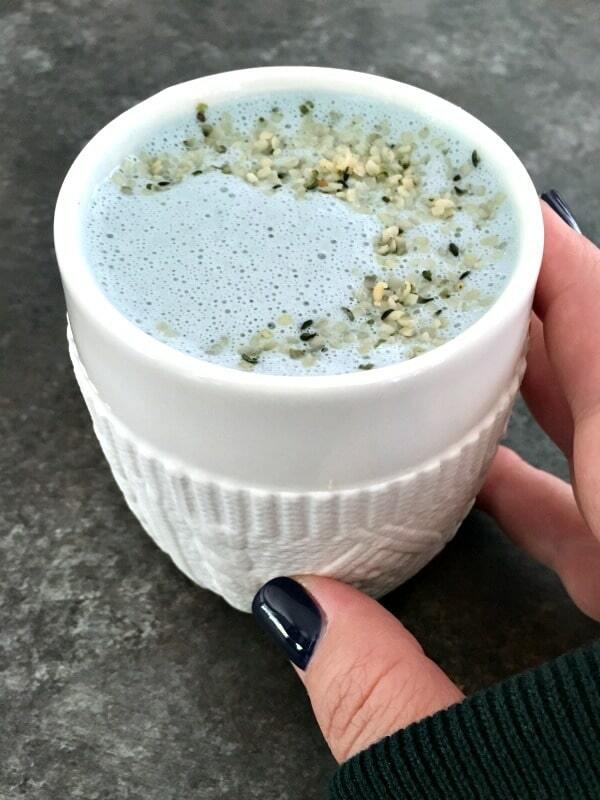 Spirulina is a spectacular superfood, and my favorite is E3Live’s Blue Majik. Packed with high levels of protein, all kinds of vitamins and amino acids, spirulina is something I have been using since … college, really. A nutrient rich algae. 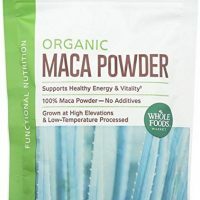 Maca is another favorite that I have been using for about ten years? 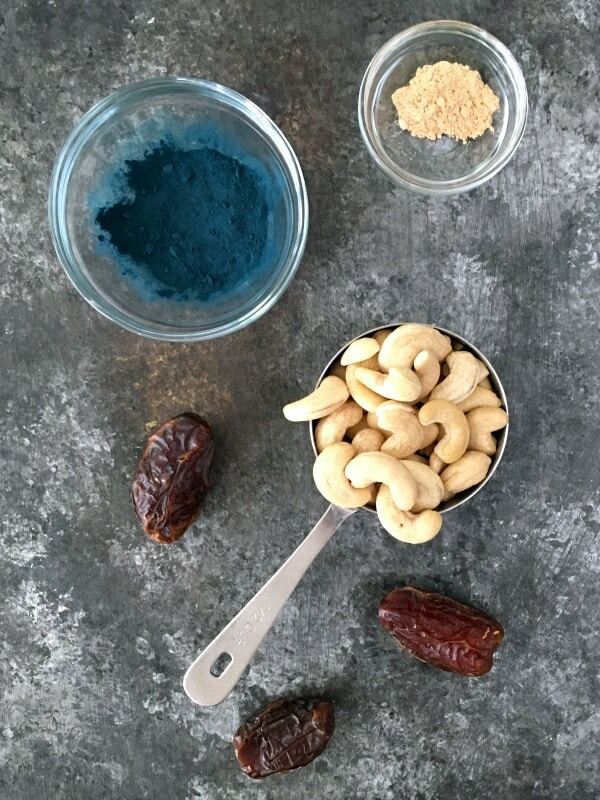 Maca is a potential mood and energy booster, and many know it to increase libido. 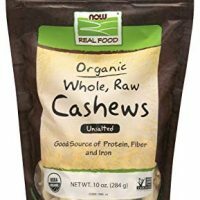 It also boasts a fair amount of fiber, vitamins and minerals. Turmeric! 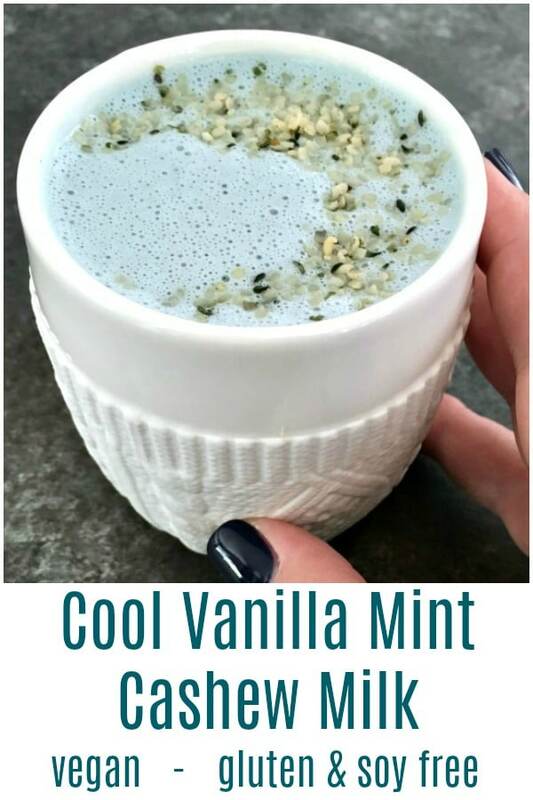 This Cool Vanilla Mint Cashew Milk would be Golden Milk if it were not for the spirulina! 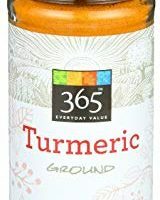 Turmeric is known for its anti inflammatory benefits – the main reason I use it, for sure. Antioxidant rich and a digestive aid as well, and some say it actually relieves pain – my guess is that is from the reduced inflammation. 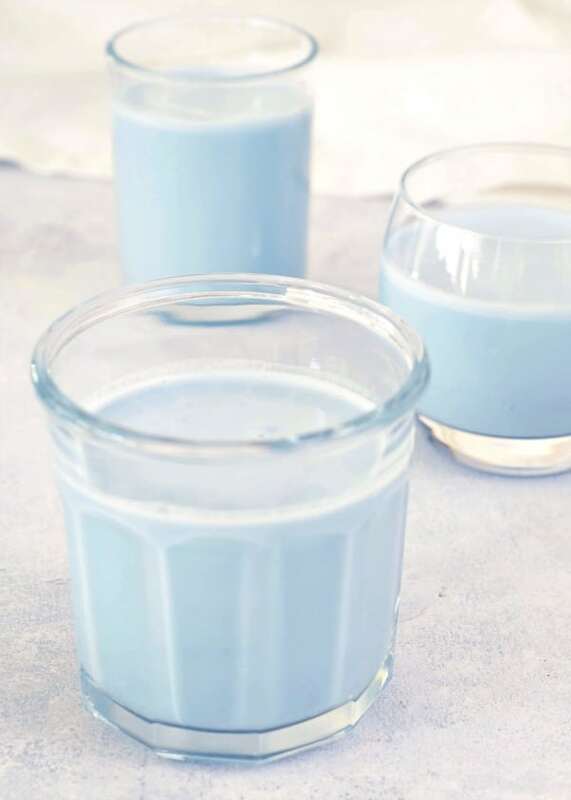 homemade Vegan Vanilla Mint Cashew Milk - this Blue Majik Milk is a perfect snack or accompaniment to your breakfast pancakes. brimming with nutrients and flavor and color. 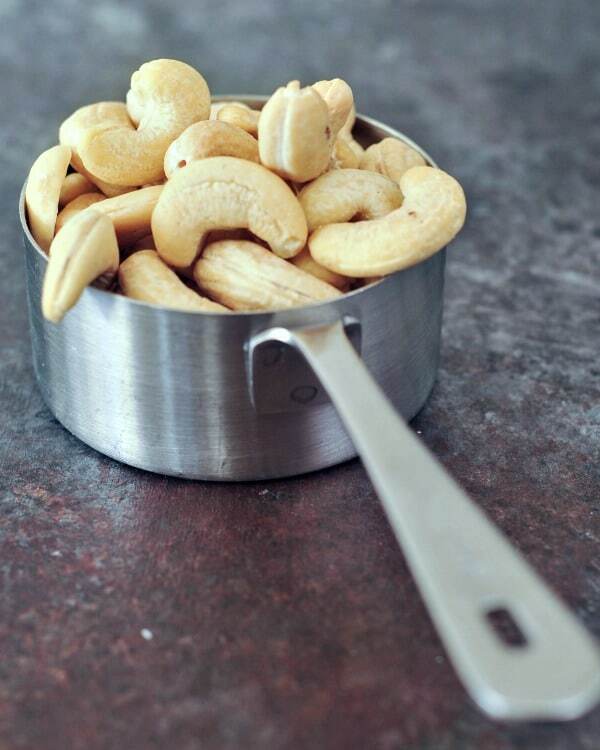 Combine cashews and water in a blender. Blend at highest speed until completely smooth. 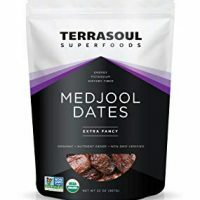 Add dates if using, blend again until smooth. Add remaining ingredients - Blue Majik, vanilla, mint, maca, turmeric, and sea salt. 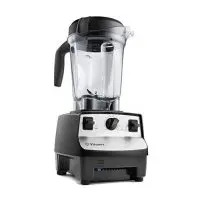 Blend at highest speed until smooth. 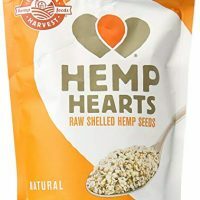 Pour into glasses, top with hemp hearts. Enjoy immediately. This is gorgeous. Looks and sounds delicious and super healthy. And to my happy surprise Blue Majik is available on Amazon subscribe and save!